The cellular architecture and chemical nature of different cells lining the olfactory epithelium of Rita rita (Hamilton, 1822) were studied using histological and various histochemical techniques. Histological analysis demonstrated that each olfactory epithelium consists of supporting, receptor, labyrinth, basal and mucous cells. The localization and chemical nature of acid and neutral mucins in the different cells of the olfactory epithelium was studied histochemically by employing PAS-AB technique. Different shades of glycogen were discernible in the receptor cells along the epithelial border and flagellated supporting cells. Basic protein was noted in the various cells of epithelial lining as well as in the central core while bound lipid was restricted to the receptor cells and nerves present in the central core. The localization of various proportions of DNA and RNA were detected in the various cells lining the olfactory epithelium. The occurrence, distribution and localization of different histochemical tests in the olfactory epithelium were discussed with their functional significance. Fish have a good sense of smell and are adept to detect odour with the help of a pair of olfactory apparatus connected to the olfactory lobes of the forebrain by means of olfactory nerves (Singh, 1977). The olfactory rosette is disguised with olfactosensory epithelium which performs a vital role in olfaction. Olfaction is a major mediator of chemical signals and is involved in essential life processes of teleosts such as feeding, alarming, migration and sexual behavior (Hara, 1992). Extensive investigations and information on the micro-architecture of the olfactory epithelium of different fishes using light and electron microscope are well documented (Singh, 1994; Mandal et al., 2005; Arvedlund et al., 2007; Ghosh and Chakrabarti, 2009, 2010; Chakrabarti and Ghosh, 2011; Kuciel et al., 2011) but studies relating to histochemical constitution and functional status of various cells lining the olfactory epithelium of teleosts are limited (Datta Munshi and Singh, 1975; Pandey and Mishra, 1984; Belanger et al., 2003; Chakrabarti, 2005a; Ghosh and Chakrabarti, 2012). Therefore, the aim of the present study was to examine more precisely the structural details, chemical nature and functional aspects of different cell types on the olfactory epithelium of bottom dwelling carnivorous catfish, Rita rita (Bagridae, Siluriformes) by histological and histochemical analysis. Living specimens of adult R. rita (22-24 cm in length) were obtained from the river Ganga near Samudragar, Burdwan, West Bengal, India. Fishes were acclimatized and anaesthetized with tricaine methone-sulphonate (MS 222; Sigma Chemical Co.) solution (100-200 mg L-1) following the guidelines given by the Institutional Ethical Committee. Olfactory rosettes were taken out by dissecting the dorsal side of the olfactory chamber under a stereoscopic binocular microscope and immediately processed for the histological and histochemical studies. Histological study: Olfactory rosettes were fixed in aqueous Bouins fluid for 16-18 h. After fixation the tissues were washed repeatedly in 70% ethanol and dehydrated properly through ascending series of ethanol, cleaned with xylene and embedded in paraffin wax of 56-58°C. Sections were cut at 4 μm thick using a rotary microtome. After routine histological procedure the deparaffinized sections were stained with Mallorys triple stain. Histochemical study: Olfactory tissues were fixed in 10% neutral formalin for 18 h. After dehydration in graded series of ethanol followed by clearing in xylene, the tissues were embedded in paraffin wax at 52-54°C in vacuum embedding bath. Serial paraffin sections were cut at 8 μm thickness and then subjected to various histochemical techniques: Periodic Acid Schiff's (PAS) in combination with Alcian Blue (AB) (PAS-AB) for detection of neutral and acid mucins (Mowry, 1956), Best's Carmine (BC) method for detection of glycogen (Best, 1906), Mercury-Bromphenol Blue (MBPB) method for detection of basic protein (Bonhag, 1955), Sudan Black B (SB) method for detection of bound lipid (Berenbaum, 1958) and Methyl Green Pyronin Y (MGP) method for the detection of RNA and DNA (Unna, 1902). Supporting or sustentacular cells: The supporting cells form the most superficial layer of the epithelium and columnar in shape. The nuclei of these cells are small and deeply stained. Cytoplasm is less granular and faintly stained. The distal limb of the cell is broad and its tip supports prominent flagella (Fig. 1a, b). Receptor cells or primary neurons: These are elongated elements of the olfactory epithelium and mainly distributed in the proximal region of the epithelium. They are the sensory cells of the epithelium and are intermingling with supporting cells. The receptor cells are highly basophilic with darkly stained elongated and oval nuclei in the distal part of the cell. 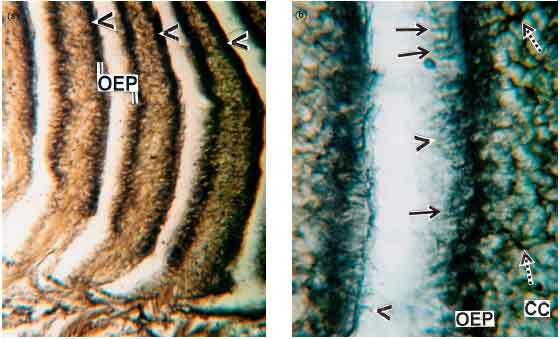 The dendrite process of each receptor cell runs to the surface of the lamellae as a narrow cylindrical process (Fig. 1a, b). Labyrinth cells: They are scattered in the superficial layer of the olfactory epithelium. These are ovoid or rounded in appearance with prominent nuclei towards the basal ends (Fig. 1a, b). Basal cells: Basal cells are small, round in outline with a conspicuous central nucleus placed in the deeper part of the epithelium adjacent to central core (Fig. 1a, b). These cells actually form the reservoir for the formation of supporting and receptor cells as they migrate towards the upper part of the olfactory epithelium. Mucous cells: These cells are few in number, oval shaped and scattered along the border of the olfactory epithelium (Fig. 1a). Detection and localization of mucopolysaccharides: Among the various cell types, mucous cells occurring in the olfactory epithelium of R. rita, possess the mucosubstances. The combined PAS-AB reaction shows purple-bluish colour of varying intensities in the various mucous cells of the olfactory epithelium. This combined test imparts a luminous purple colour for neutral mucins due to PAS reaction whereas AB produces glossy blue colour when it reacts with acid mucins. The intensity of the bluish-purple colour is discernible at its maximum in the secretory and non-secretory mature mucous cells confirming the presence of mixture of acid and neutral mucin in different proportions (Fig. 2a, b). However, maximum intensity of AB reaction is discernible in free border of the olfactory epithelium along with flagellated supporting cells (Fig. 2b). The receptor cells display weak reaction to this test. The labyrinth cells and basal cells exhibit moderate PAS-AB reaction, confirming the presence of acid and neutral mucin. The connective tissues and nerve fibres in the central core are also positively stained with PAS (Fig. 2b). Detection and localization of glycogen: The results of Bests Carmine (BC) test indicate an intense to moderate red colour in the in the supporting cells, receptor cells and along the epithelial border. This indicates different proportions of glycogen present in those cells. However, central core shows weak glycogen reaction (Fig. 3). Detection and localization of basic protein: Mercury-Bromphenol Blue (MBPB) histochemical test confirms the presence of protein material in the receptor cells with extended dendrite processes to the surface epithelium. Moreover, flagellated supporting cells are also positive to this test. However, maximum protein reaction has been encountered in the blood cells and connective tissue of the central core region (Fig. 4). Detection and localization of bound lipid: Sudan Black B (SB) stain has been employed for the detection of bound lipids associated with the different cells of the olfactory epithelium (Fig. 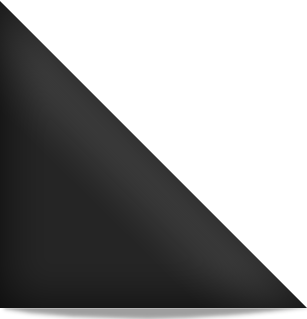 5a). The receptor cells, including dendrite processes and flagellated supporting cells are highly sudanophilic than rest of the cells present in the olfactory epithelium. Moreover, the nerve fibres in the central core region show considerable lipid reaction (Fig. 5b). Detection and localization of nucleic acids: Methyl green pyronin Y (MGP) reaction affords green/bluish-red colour of varying intensities in accordance with the localization of DNA and RNA content of the various cells lining the olfactory epithelium. This test furnishes a green blue colour for DNA due to methyl green whereas pyronin imparts a red colour when it reacts with RNA. In R. rita the cytoplasm of mucous cells and their secretory products become more condensed and take up a strong red colour confirming very rich in RNA (Fig. 6a, b). The nuclei of the supporting cells and receptor cells of the olfactory epithelium are DNA positive (Fig. 6a). The central core displays mild reaction to this test. 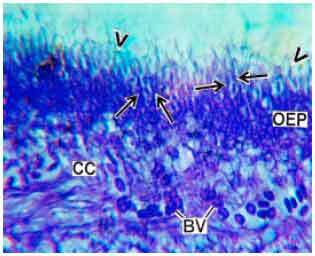 Histology: The olfactory apparatus is lodged on the floor of the nasal chamber and is often wrapped to form lamellae. In fish, the olfaction is commonly interrelated with the water ventilation by sniffing process (Nevitt, 1991). The ecological niche occupied by a given species has a great impact on cellular organization of olfactory epithelium (Hara, 1994). The olfactory epithelium of R. rita is comprised of supporting, receptor, labyrinth, basal and mucous cells. The tip of the supporting cells is embossed with a stubby flagellum. The flagellated supporting cells constitute a moderate and weak current over the olfactory lamellae, presumably assisting in water renewal and the transport of stimulant molecules to the receptor cells in the olfactory organ. In Notopterus notopterus, the supporting cells have short and faintly visible cilia (Goel, 1978). The ciliated supporting cells are also reported in the olfactory epithelium of Fitzrovia lineate (Trujillo-Cenoz, 1961), Thunnus obesus (Iwai and Nakamura, 1964) and Labeo rohita (Ojha and Kapoor, 1973). These cells are believed to increase the free surface of the olfactory epithelium for various physiological purposes. However, Moulton and Beidler (1967) reported that the supporting cell has complex secretory and nutritional functions. In R. rita the supporting cells may produce a serous secretion which maintains the continuous directional flow of the mixed secretion along the surface of the epithelium. This flow removes the remains of the stimulating substances on the receptor cell surface and keeps the receptors ready for new stimuli. In R. rita the receptor cells are intermingling with flagellated supporting cells. The dendrite process of receptor cells extends as a narrow cylindrical process up to the free epithelial surface are of special interest because they form a part of the olfactory transduction mechanism and are stimulated by odour-bearing substances. Therefore, the long and well developed dendrite process of the receptor cell enables the fish to smell its food even in muddy surrounding. It is well established that the receptor cells present in the olfactory epithelium are able to detect chemical changes in the surrounding environment (Datta and Das, 1980). The labyrinth cells on the surface of epithelium of R. rita may serve as excretory cells for osmoregulation and ion regulation. In this way they may cause the olfactory organs to function optimally in water of different salinities. Shirai and Utida (1970) have considered the labyrinth cells may be involved in electrolyte transport because they are structurally similar to chloride cells found in fish gills. The basal cells are small and lying adjacent to the central core and having no cytoplasmic processes reaching to the free surface. These cells can function as stem cells for regeneration of lost or damaged receptor cells, supporting cells and mucous cells (Zeiske et al., 1992; Farbman, 1994). The basal cells are undifferentiated and have been reported to give rise to supporting cells (Cordier, 1964). Using tritiated thymidine followed by autoradiography, Thornhill (1970) and Graziadei and Metcalf (1971) have shown that the basal cells, apart from differentiating into supporting cells, also give rise to the olfactory receptor cells, which are continually replaced during life. Andres (1966, 1969) also suggested that the basal cells are the precursors of regenerating receptor cells. Mucous cells of varying shapes and sizes with secretory activity are present in the olfactory epithelium. The mucin probably helps in binding microscopic debris and keeps the sensory cells ready for new stimuli. This corresponds with the findings of Bandyopadhyay and Datta (1996) in the olfactory mechanism of Heteropneustes fossilis. Zeni and Stagni (2002) opined that the mucus covering the olfactory lamellae constitutes an important medium in which the odorants are diffused like that of other olfactory systems of vertebrates. Histochemistry: The histochemical aspect of mucous cells in the olfactory epithelium of R. rita has been studied by employing PAS-AB histochemical test to establish its chemical nature and the significance of its secretion with olfaction of fish. Chemically mucins are hexoseamine-containing polysaccharides which are confined covalently with variegate amounts of proteins. The histochemical nature of mucous secreting cells and their secretory products have been recorded by various workers in the olfactory epithelium of teleosts (Datta Munshi and Singh, 1975; Ghosh and Chakrabarti, 2012). According to them, mucins secreted by the mucous cells of the olfactory epithelium are of mucoprotein or glycoprotein in nature. The secretion of mixture of acid and neutral mucopolysaccharides from the mucous cells probably abets to prevent friction against microscopic debris and also helps the smooth flow of water in the olfactory chamber. This is the compliance with the remark of Rahmani and Khan (1980) in the olfactory mechanism of Anabas testudineus and Chakrabarti (2005b) in the olfactory epithelium of Puntius javanicus. In the present investigation, the predominance of acid mucopolysaccharide in the epithelial border along with flagellated supporting cells prevents abrasion against foreign particles, which enter into the olfactory chamber through incoming water. The labyrinth and basal cells exhibit intense PAS-AB reaction probably for diverse biological activities. During the course of present investigation, it has been noticed that the various degrees of glycogen content occur in the cytoplasm of the receptor cells and flagellated supporting cells. However, in the said fish maximum glycogen reaction is discernible in the epithelial border. The movement of flagella of the supporting cells maintains a continuous directional flow along the surface epithelium, which is an active process, requires energy and presence of glycogen particles is the main source of such energy. Bertmar (1973) also detected glycogen particles in the vicinity of the basal bodies of the cilia in the olfactory organ of sea trout. The glycogen reaction in the receptor cells may be related to the transduction of various impulses and glycogen may also act as a substrate for the source of energy required for the activities. The receptor cells and flagellated supporting cells of the olfactory epithelium in R. rita show intense reaction for protein indicating their metabolic activity. Intense reaction of blood cells of central core may account for their cellular activity in maintaining their metabolic status. The occurrence and localization of bound lipid in the dendrite process of receptor cells and flagellated supporting cells of the olfactory epithelium and nerve fibres in central core have been confirmed. However, the presence of relatively higher quantity of sudanophilic lipid material in the receptor cells in the olfactory epithelium and nerve fibres of central core have been recorded in this fish may be due to the presence of myalinated sheath in the axons of receptor cells which probably help in the impulse transduction process. The detection and localization of DNA and RNA in the various cells of the olfactory epithelium of R. rita bear close relationship with its functional activity of the region concerned. It is known that the quantity of DNA content in a particular cell remain constant throughout its entire period of life span. So, the variations are probably associated with the physiological changes in the different epithelial cells. In the present investigation the intense reaction for DNA in the nuclei of receptor cells due to condensation of chromatin material during their active state in the fish species studied. Detectable amount of DNA in nucleus of flagellated supporting cells suggest their important role in cellular activity and motility. The deposition of relatively higher amount of RNA in the cytoplasm of mucous cells unequivocally suggests its importance role in the synthesis of glycoprotein which is essential for production of mucin. R. rita is a sluggish, bottom dwelling, riverine carnivorous catfish which feeds on molluscs, small fishes, crustaceans, insects etc., very much dependent on its olfactory sense. The multilayer olfactory organ in this fish provides an acute sense of smell and various aspects of their existence in the aquatic ecosystem are mediated through olfactory cues. Distribution of receptor cells represents adaptations which maximize the sensory area under a given restriction. The authors are grateful to Dr. G. Aditya, Head, Department of Zoology, The University of Burdwan for providing necessary laboratory facilities. Andres, K.H., 1966. Der feinbau der regio olfactoria von makrosmatikern. Z. Zellforsch. Mikrosk. Anat., 69: 140-154. Andres, K.H., 1969. Der olfaktorische saum der Katze. Z. Zellforsch. Mikrosk. Anat., 96: 250-274. Arvedlund, M., P.L. Munday and A. Takemura, 2007. The morphology and ultrastructure of the peripheral olfactory organ in newly metamorphosed coral-dwelling gobies, Paragobiodon xanthosomus Bleeker (Gobiidae, Teleostei). Tissue Cell, 39: 335-342. Bandyopadhyay, S.K. and N.C. Datta, 1996. 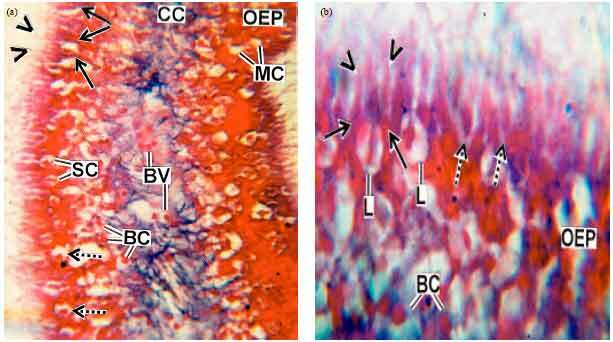 Morphoanatomy and histology of the olfactory organ of an air-breathing catfish Heteropneustes fossilis (Bloch). J. Anim. Morphol. Physiol., 43: 85-96. Belanger, R.M., C.M. Smith, L.D. Corkum and B.S. Zielinski, 2003. Morphology and histochemistry of the peripheral olfactory organ in the round goby, Neogobius melanostomus (Teleostei: Gobiidae). J. Morphol., 257: 62-71. Berenbaum, M.C., 1958. The histochemistry of bound lipids. Quart. J. Microsc. Sci., 3: 231-242. Bertmar, G., 1973. Ultrastructure of olfactory mucosa in the homing baltic sea trout Salmo trutta trutta. Mar. Biol., 19: 74-88. Best, F., 1906. Uber Carmine far bug des glycogens and derkerne. Z. Wiss. Mikr., 3: 319-322. Bonhag, P.F., 1955. Histochemical studies of the ovarian nurse tissue and oocytes of the Milkweed Bug Oncopeltus fasciatus (Dallas). I. Cytology, nucleic acids and carbohydrates. J. Morphol., 96: 381-421. Chakrabarti, P. and S.K. Ghosh, 2011. Histological and ultrastructural studies of the olfactory rosette of spotted butter fish Scatophagus argus (Linnaeus). Folia Morphologica, 70: 74-79. Chakrabarti, P., 2005. 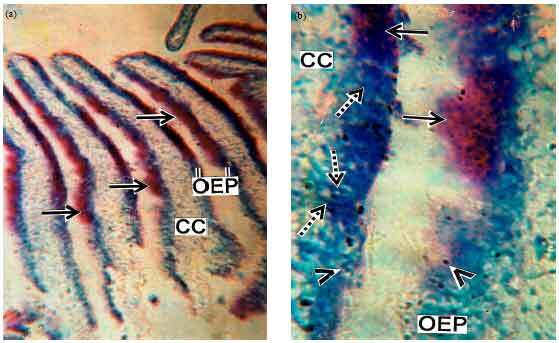 Histological and histochemical studies on the olfactory rosette of Mugil parsia (Hamilton). Folia Morphol., 64: 41-46. Chakrabarti, P., 2005. Histoarchitecture and histochemical localization of mucopolysaccharides in the olfactory epithelium of Puntius javanicus (Bleeker). J. Inland Fish. Soc. India, 37: 47-52. Cordier, R., 1964. Sensory Cells. In: The Cell, Brachet, J. and A.F. Miresky (Eds.). Academic Press, New York and London, pp: 313-383. Datta Munshi, J.S. and S.P. Singh, 1975. Histochemical observations on the olfactory mucosa of the Indian green snake headed fish, Channa punctata (Bloch) (Ophicephalidae). Proc. Zool. Soc., 28: 1-13. Datta, N.C. and A. Das, 1980. Anatomy of the olfactory apparatus of some Indian Gobioids (Pisces: Perciformes). Zool. Anz., 205: 241-252. Farbman, A.I., 1994. Developmental biology of olfactory sensory neurons. Semin. Cell Biol., 5: 3-10. Ghosh, S.K. and P. Chakrabarti, 2009. Cellular architecture and functional aspects of the olfactory rosette of Wallago attu (Bleeker). Turk. J. Fish. Aquat. Sci., 9: 187-190. Ghosh, S.K. and P. Chakrabarti, 2010. Histological and scanning electron microscopic organization and functional aspects of the olfactory epithelium of the freshwater minor carp, Puntius sophore (Hamilton). Proc. Zool. Soc., 63: 115-119. Ghosh, S.K. and P. Chakrabarti, 2012. Histochemical study of the olfactory rosette of Cyprinus carpio (Linnaeus, 1758). Iran. J. Fish. Sci., 11: 305-314. Goel, H.R., 1978. The structure and functions of the olfactory organs in the freshwater teleost Notopterus notopterus (Ham). Folia Morphol., 26: 392-396. Graziadei, P.P.C. and J.F. Metcalf, 1971. Autoradiographic and ultrastructural observations on the frog's olfactory mucosa. Cell Tissue Res., 116: 305-318. Hara, T.J., 1992. Mechanism of Olfaction. In: Fish Chemoreception, Hara, T.J. (Eds.). Chapman and Hall, London, UK., ISBN: 0412351404, pp: 150-170. Hara, T.J., 1994. 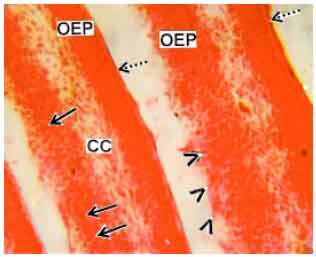 The diversity of chemical stimulation in fish olfaction and gestation. Rev. Fish. Biol. Fish., 4: 1-35. Iwai, T. and I. Nakamura, 1964. Olfactory organs of tunas with special reference to their systematic significance. Bull. Misaki Mar. Biol. Inst. Kyoto Univ., 7: 1-8. Kuciel, M., K. Zuwala and M. Jakubowski, 2011. 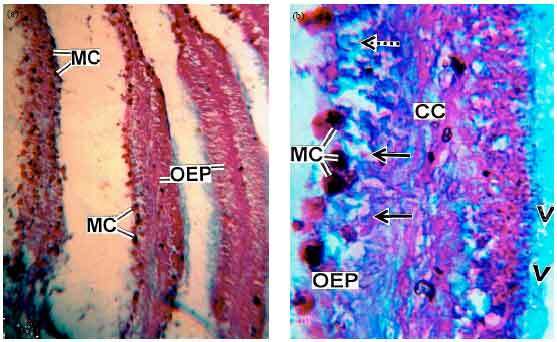 A new type of fish olfactory organ structure in Periophthalmus barbarus (Oxudercinae). Acta Zool., 92: 276-280. Mandal, D.K., D. Roy and L. Ghosh, 2005. Structural organization of the olfactory epithelium of a spotted snakehead fish, Channa punctatus. Acta Ichthyol. Piscat., 35: 45-50. Moulton, D.G. and L.M. Beidler, 1967. Structure and function in the peripheral olfactory system. Physiol. Rev., 47: 1-52. Mowry, R.W., 1956. Alcian blue techniques for the histochemical study of acidic carbohydrates. J. Histochem. Cytochem., 4: 407-408. Nevitt, G.A., 1991. Do fish sniff? A new mechanism of olfactory sampling in pleuronectid flounders. J. Exp. Biol., 157: 1-18. Ojha, P.P. and A.S. Kapoor, 1973. Structure and function of the olfactory apparatus in the freshwater carp, Labeo rohita (Ham. Buch.). J. Morphol., 140: 77-85. Pandey, K.C. and R.C. Mishra, 1984. Histochemical studies on olfactory epithelium of Anabas testudineus (Bloch). Matsya, 9: 17-24. Rahmani, A.R. and S.M. Khan, 1980. Histology of the olfactory epithelium and the accessory nasal sacs of an anabantoid fish, Anabas testudineus (Bloch). Arch. Biol., 91: 397-411. Shirai, N. and S. Utida, 1970. Development and degeneration of the chloride cell during seawater and freshwater adaptation of the Japanese eel Anguilla japonica Z. Cell Tissue Res., 103: 247-264. Singh, N., 1994. Scanning electron microscopic study of the olfactory epithelium of four coldwater hillstream teleosts from Garhwal hills (India). J. Biosci., 19: 91-102. Singh, S.P., 1977. Functional anatomy of olfactory organs in some marine teleosts. Zool. Anz. Jena., 5B: 441-444. Thornhill, R.A., 1970. Cell division in the olfactory epithelium of the lamprey, Lampetra fluviatilis. Cell Tissue Res., 109: 147-157. Trujillo-Cenoz, O., 1961. Electron microscopic observations on chemo and mechanoreceptor cells of fishes. Z. Zellforsch., 54: 654-676. Unna, P.G., 1902. Eine modification der pappenheimschy farbung auf granoplasma. Manatshefte fur Praktische Dematologie, 35: 76-76. Zeiske, E., B. Theisen and H. Breucker, 1992. Structure, Development and Evolutionary Aspects of the Peripheral Olfactory System. In: Fish Chemoreception, Hara, T.J. (Ed.). Chapman and Hall, London, pp: 13-39. Zeni, C. and A. Stagni, 2002. Changes in the olfactory mucosa of the black bullhead Ictalurus melas induced by exposure to sublethal concentrations of sodium dodecylbenzene sulphonate. Dis. Aquat. Org., 51: 37-47.